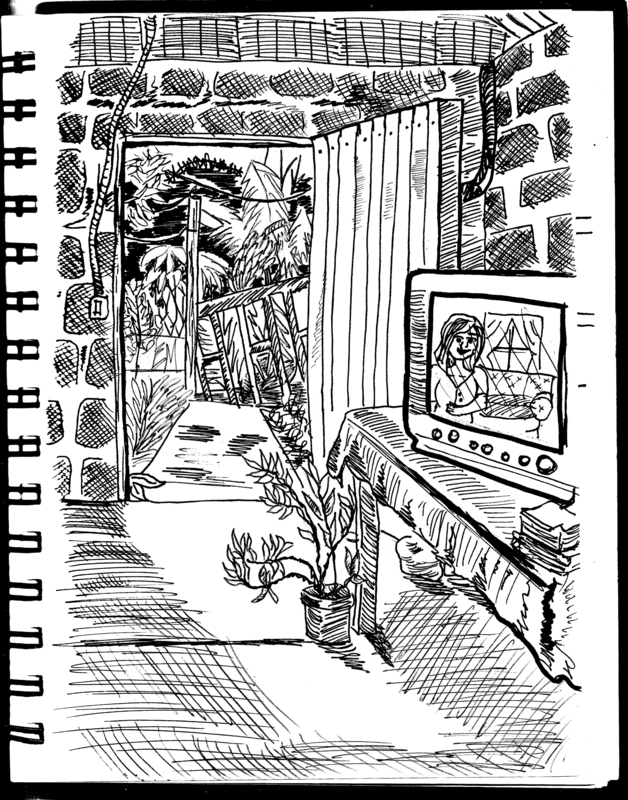 Here are some sketches- one is a self portrait I did, and the other is from my Costa Rica sketchbook. 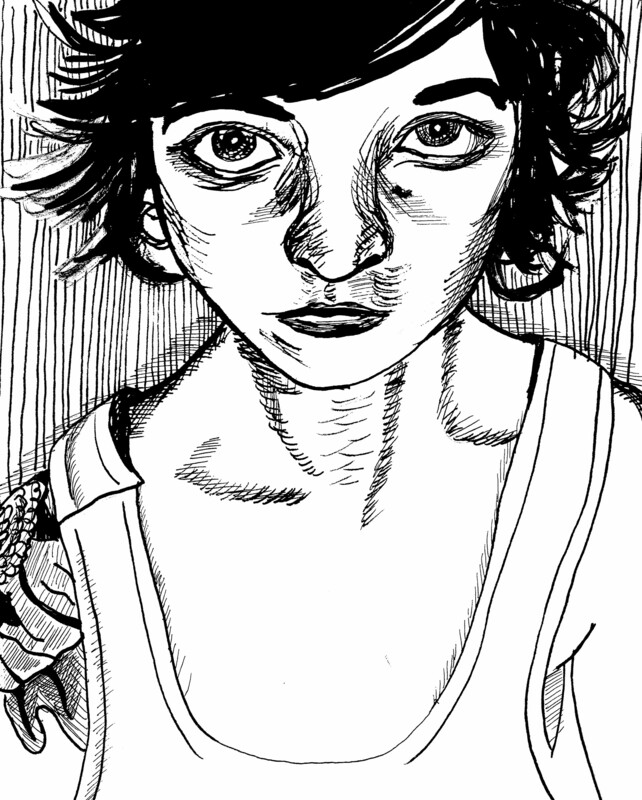 A self portrait I did one bored summer night. This week I am working on converting my thesis proposal into a comic, which will be posted as it progresses. Also, if you are in the Lansing area on Saturday morning, feel free to come by and see my presentation at the Digital Humanities Conference at MSU. I’m hoping it’ll be good. More to come soon! I promise!